I've always intended to pay a visit to the National Sea Rescue Institute at the V&A Waterfront, but I never seem to get around to it! The NSRI are a group of about 1000 unpaid volunteers around the country who respond 24x7 to calls for emergency sea rescue. Visit their site for interesting information about who they are as well as stats about how many lives they've helped save. The instituted is highly respected and I have no hesitation in suggesting that you consider donating towards rescue equipment, fuel and the maintenance of their vessels. 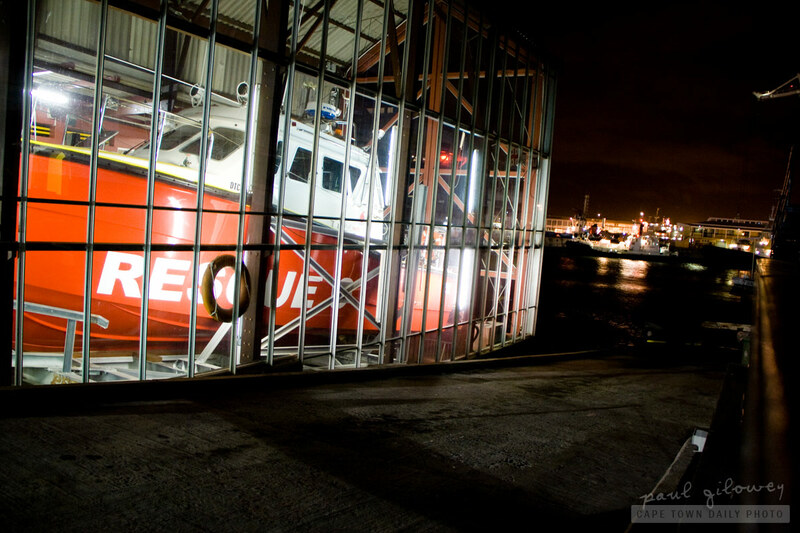 Posted in General and tagged boats, night, rescue on Tuesday, 9 August, 2011 by Paul.